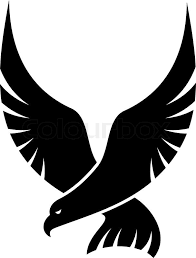 SOULspace: "To be recognised as Falcon" - Communicating with our Storied Souls! "To be recognised as Falcon" - Communicating with our Storied Souls! Mullah Nasiruddin had never seen a falcon before and spotting it on the window sill, he caught the bird and cut its talons, clipped its beak and trimmed its feathers. "You poor thing, how did you get into such a bad shape" he sympathised, "Now you look better." All of us have to clip our feathers, trim our beaks and cut our talons...to fit into a framework that exists in another person's view or in the view of society. Lucky are those who are able to remain a falcon and fly the sky and be recognised as one. I know I clipped my sense of fun and boxed myself into what was expected of me. I trimmed my wings to soar a little lower, for I was and am still fearful of soaring high and perhaps disappearing away from those who I have chosen and know. Write to me at sowmya03@gmail.com if you have a story to tell that resonates with this wisdom tale. Going forward I will be sharing one story ( or more) every week that resonates with me and my innermost desire to BEcome. Share your thoughts, images, memories and let us embark into a space of shared storytelling.